After thinking about this for a while and realizing that people really ARE interested in my work I decided to start a blog about my art. Sounds silly but sometimes artists forget that what they create IS magical and people are always curious to see how this magic is achieved! 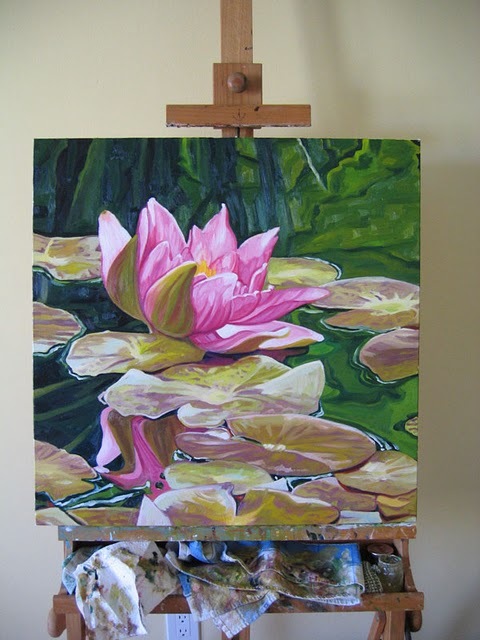 Having said that, I have included a photo of a painting entitled, Pink Waterlily, that is almost complete (another hour and it’s done!). After which, I will showcase a painting from start to finish, so stay tuned! I am excited about this and I hope you join me on this magical adventure.